Are these in stock? &nbsp;Light purple - 250 ea of A2 and A7. Don't go to the dark side, stay with the light! With these Light Purple Envelopes, Darth Vader himself wouldn't be able to use his powers to destroy them. These light envelopes are too elegant, too classy, and too beautiful. Just by the charming distraction alone, they will win. Light Purple Envelopes are more airy and demure than a darker shade, while still invoking that peacefulness that purple is known and celebrated for. The first glimpse into the style of your party is the invitation. And the first glimpse into the style of your invitation is the envelope. 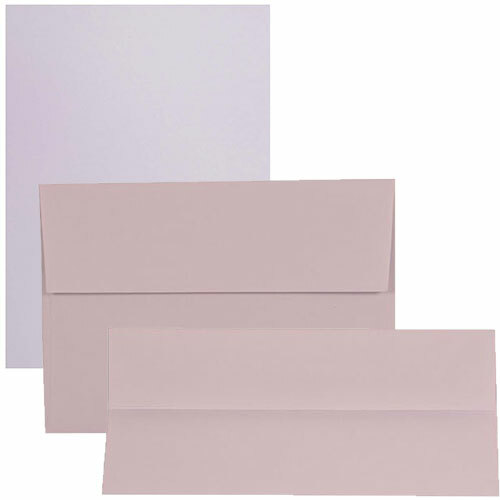 If you’re going for a charming and sweet vibe, Light Purple Envelopes are the ideal choice. 8.5 x 11/8.5 x 14 Paper & Cardstock is also available in Light Purple, so create a perfect stationery set.